How can more children get closer to nature? Three of England’s leading environmental education charities have joined forces to explore how more children could be better connected with nature. Our interest is in outdoor education in wooded areas and forests, particularly Forest School practice, and we welcome a wide range of views from all outdoor educators and woodland owners. 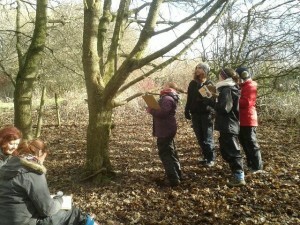 Survey partners Sylva Foundation, Forest School Association, and The Ernest Cook Trust are running this survey as part of the Forest Schools for All project funded by The Ernest Cook Trust. The project is focussed on delivery in England, while for this survey the researchers are interested in receiving responses from the whole of the UK. This will allow comparison between countries, and provide valuable data for use by others in Northern Ireland, Scotland, and Wales. “It’s been invaluable to work alongside experienced professionals at Sylva Foundation and Forest School Association to produce such a targeted research survey. The outcomes will influence decisions on how we work at The Ernest Cook Trust in broadening our reach to inspire young people to learn from the land. Images are available to download (reproduction free). Please contact us for further information. All images © Sylva Foundation. We are pleased to offer a half-day workshop designed for Forest School Leaders and any educators interested to learn new skills with wood. It will be run by Simon Clements, Wood Carver based at the Sylva Wood Centre, supported by the Sylva Foundation. Simon Clements is a Wood Carver based at the Sylva Wood Centre, and is keen support Forest School Leaders in developing their skills with wood. He trained as a potter and came to carving via boat building and has a background in education. This cost includes all materials, tuition and tea/coffee. 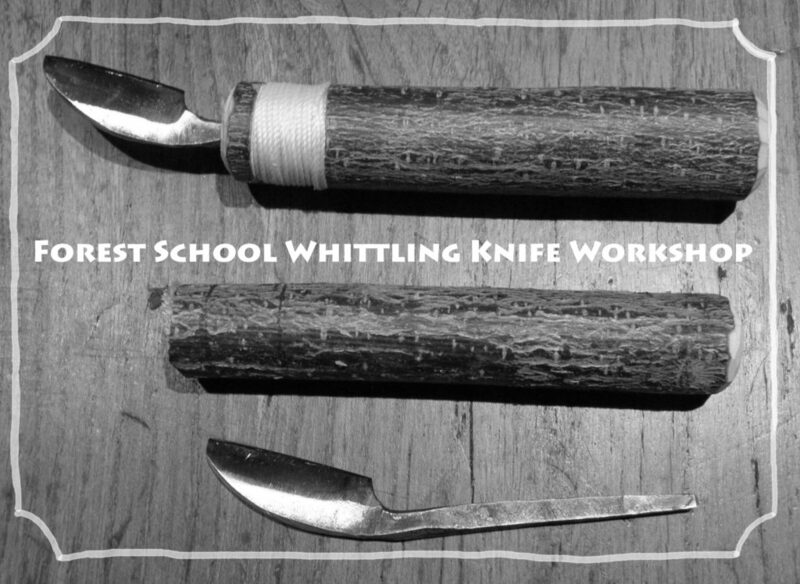 Your own penknife or whittling knife. We had an extremely enthusiastic response to the launch of myForest for Educators from many of the 200 Forest School Leaders present at the Forest School Association conference 26-28th September at Danbury Outdoor Centre, Essex. Forest School Trainer and Leader, London. Several Educators identified the many curriculum links they could make using myForest with young people at primary and secondary levels such as Geography (mapping), Maths (inventory), English (reporting), Science (tree identification and ecological impact assessment), and ICT. Both Sylva and the Forest School Association believe that empowering young people to manage their forest school sites will give them a deeper connection to their sites, provide a real life decision making task as well as educating them in woodland management, ecology and forestry. The feedback gained from Forest School Leaders at the conference will be crucial in shaping the new version of myForest for Educators which we plan to launch in March 2015. In partnership with the Forest School Association we will support Forest School trainers across the country with myForest so that hundreds of Forest School Leaders will learn to use it. In the meantime if any Forest Leaders or Educators would like to use myForest and provide further feedback we would value your input – contact jen@sylva.org.uk . Development and dissemination of myForest for Educators has been made possible by the Patsy Wood Trust. Thanks go to the Forest School Association for the organisation of a successful conference and Sylva looks forward to continuing our partnership with them over the coming year. As a direct outcome of our partnership with the FSA (see recent news) we have launched the myForest for Educators at the FSA National Conference in Essex. 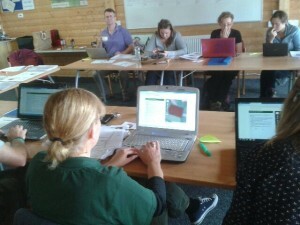 On September 27th our Education Manager Jen Hurst ran myForest woodland management workshops for Forest School Leaders. Bringing myForest to the UK’s Forest School community will build a much-needed bridge between the worlds of forestry and education and go a long way to reviving Britain’s wood culture by reaching thousands of young people and educators. For more information on Forest Schools visit Forest School Association. Support from donors has been crucial in launching the UK’s first ever national campaign to increase the number of young people participating in Forest Schools. The campaign has enabled two charities, the Sylva Foundation and the Forest School Association, to produce an awareness-raising film about the value and urgent need for Forest Schools in the UK. The funds raised on Indiegogo have covered the cost of producing the film and promoting it through our own websites, networks and social media. So thanks to all of you who helped us to get the campaign off the ground! The good news is that this is not the end of the campaign but just the start. The Sylva Foundation and Forest School Association (FSA) will continue to fundraise together for Forest Schools. Funds raised through the Big Give will be used to support Forest Schools most in need, as described in the original Indiegogo campaign. The campaign film is also a way for us to raise the national profile of Forest Schools and provide benefits to both young people and our forests. Two charities promoting environmental education have formed a partnership to tackle ‘nature-deficit disorder’ in Britain’s children. Young people today often are disconnected from the natural world – a condition coined by American author Richard Louv as ‘nature-deficit disorder’ – leading to multiple issues affecting physical and mental wellbeing, fear of the outdoors, and fundamentally a lack of a meaningful relationship with the environment. The Forest School Association and the Sylva Foundation have launched a fundraising campaign: Love Trees Love Wood. They aim to raise £30,000 via the crowdfunding site Indiegogo to support existing Forest Schools and to establish more sites across the country, especially in areas of deprivation and in inner cities. Currently there is no funding specifically for Forest Schools in the UK. School budgets are ever tighter. Forest Schools are not government-funded. The crowdsourcing campaign is the only one of its kind in the UK and will generate the only fund set up specifically to support Forest Schools. Children spend less time playing in natural places, such as woodlands, countryside and heaths, than they did in previous generations. Less than 10% play in such places compared to 40% of adults when they were young. Children today would like more freedom to play outside (81%). Nearly half of the children say they are not allowed to play outside unsupervised and nearly a quarter are worried to be out alone.